Electricity is essential for power uses but the fact is that it is limited and it costs a lot to computer users. We go for light appliances, certified products to reduce the consumption of electricity but a small change in your computer setting can make a drastic change in your monthly electricity bill. To turn on the sleep mode on your PC, Go to the “Control Panel” on your machine and then “Power Options”. 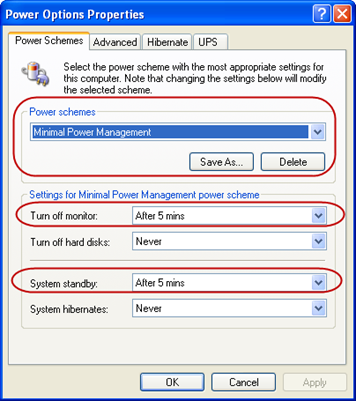 There you can select from different power options where you can also find a power option as “Minimal Power Management”. Even you can customize the power option by selecting he monitor turn off time and Stand by time. For getting optimum result, go for 4 minutes of gap for monitor turn off and Stand by. Actually these setting depends on your work environment whether you need your monitor turned on even you are not around hen you can’t save energy thru this technique but in most of the cases this will not be the scenario. If you are not around then there is no need to spend bucks on electricity wastage. Here is the calculation and formulae for calculating the energy savings thru this initiative. We will have to assume something for calculation, let’s say you start your computer at 7:00AM and turn off that at 12:00AM which means around 17 hours a day. A computer as described above will consume around 250W – 300W power including 80W for Monitor. If it is not on stand by mode and monitor turn off mode then it will consume this much power for 17 hrs a day. Say Electricity charges in our country is 4 Rs. per unit. actually it is different till 100 units and then again different for more than 100 and less than 300 like that. but here we are taking it as a constant value. Rs. 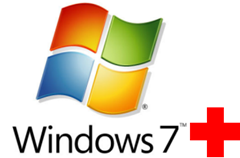 612 is the electricity charges for a month if you turn on your computer for 17 hrs a day without monitor turn off and stand by. Now I am going to make a change in my habit and I will use my computer effectively by turning on Stand by and monitor turn off feature. Say my effective work on computer is for 10 Hrs and if I have enabled stand by and monitor turn off then monitor and computer will not consume much electricity for 7 Hrs. Rs. 367 is now the electricity charges for a month and which is Rs. 245 lesser than the previous month’s bill. It will be converted as a saving of Rs. 3000 pr year from now onwards. It may not look a huge amount but yes you can always start your saving in small parts. Now I can but a printer or a UPS with that saving. If you can replace your CRT monitor with a LCD, then again you can save around Rs. 1000 – Rs. 1500 per year (depending on usage). Just imagine the saving in your electricity bill if you have more than one computer of he above configuration running 24X7.